Yes it’s a synthesizer, but no ordinary binatone piece of two-bit junk. 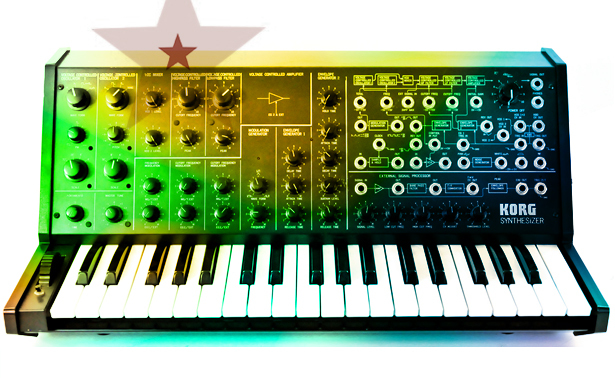 The Korg MS 20 is a serious piece of analogue hardware that you will recognise on albums by artists such as Boards of Canada, Aphex Twin, The Fall, Air, The Prodigy, Daft Punk, Gorillaz, Digitalism, William Orbit, The Dandy Warhols, Klaxons, Röyksopp, Depeche Mode and Autechre. 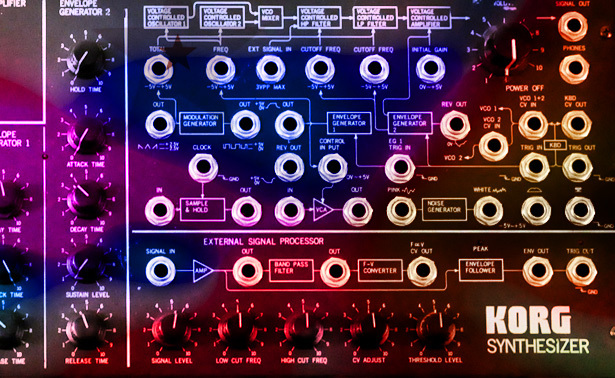 The MS 20 is a patchable semi-modular monophonic synthesizer produced from 1978 until 1983. Although the MS-20 follows the usual subtractive synthesis architecture of oscillators/filter/vca, its patch panel allows some rerouting of audio and modulation, and the MS 20 includes an external signal processor. After Korg launched the MS20 mini controller they have followed through and decided to rebuild the original MS20 inside the very same box (85% smaller), replicating the original components and relaunching the MS20 again – here is the MS20 page at Korg.com – $599 at the tie of writing. Soon to come – Related KORG technology because, as you will see below original KORG MS 20 are offered for sale at high prices and there are alternatives to paying for an original vintage Korg. We will be looking at the MS 20 app for ipad as well as the KORG Legacy collection.